A rural, family-run pub since 1870. This famous traditional Irish pub is nestled at the foothills of the Blue Stack Mountains, on the Banks of the Lowerymore River, nine miles from Ballybofey and six miles from Donegal Town. Biddy’s was originally an Inn, dating back to the 18th century, a time when the Coach was the main form of transport, here was a stopping point, where horses were rested, and travellers relaxed before the next stage of their long and tiring journey through the Gap. Biddy’s O’Barnes, to this day remains a stopping point for today’s traveller. People from all over the world now pass through these doors. Pub grub served daily. However you spend your time with us, we hope you enjoy your visit. Denis (b. 1826) & Bridget aka Biddy (Tower or Travers) Callaghan established an Inn at the foothills of the Blue Stack Mountains. 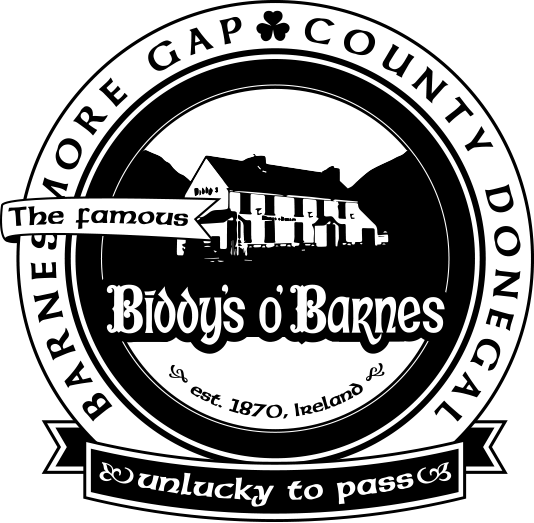 1901 Census described Biddy's as "A public house with 5 rooms, slated rood, with 3 persons in family"
Biddy's O'Barnes became one of the first licensed premises in the country, and possibly the first in Donegal. Briefly called "John Callaghan's" as it was a legal requirement to display the proprietor’s name over the front door of the premises after legislation passed in 1872. John officially dedicates the pub to his mother by naming it "Biddy's of Barnes"
Denis Callaghan passed away Family legend has it that the day Dinny's wife died he ordered his own grave dug at the same time. John Callaghan passes away, wife Rose continues to run the pub. Rose (McMenamin) Callaghan dies and pub passes to daughter, Rose Callaghan. "Near closing, Rosie would call “time” and then make everyone say the rosary. Following the prayers, she would start serving drinks again." 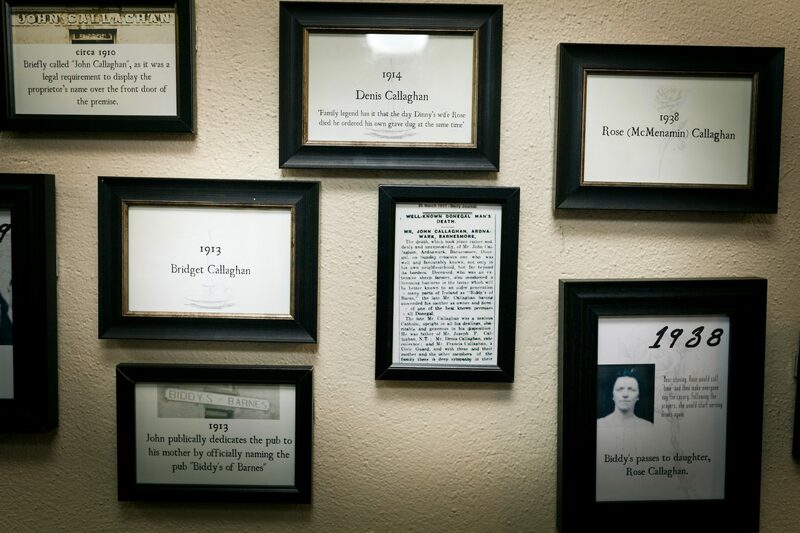 Rose Callaghan passes away and Biddy's is run by nephew, Terrance Callaghan. Extension by Terrance Callaghan added on the current lounge and relocated the bar service to it's current location. It also added the current kitchen, bathroom & storage facilities as well as a lounge in the upstairs. Biddy's is purchased by Terrence's friends, John & Carmel Slevin. Carmel Slevin passes away and the pub continues to be run by John Slevin and family. The Clar-Barnesmore road realignment was complete, now the N15 runs behind Biddy's instead of outside the front door! John Slevin passes away and pub passes to son Aaron Slevin. 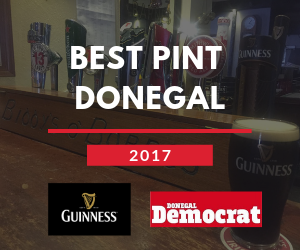 Biddy's O'Barnes wins "Best Pint of Guinness in Donegal" via the Donegal Democrat.